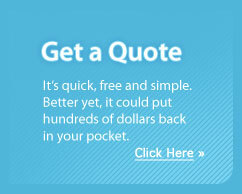 At Diederich we provide our customers with quality insurance products and services at an affordable price. Protect yourself and your business assets today with a customized contractor insurance policy through Diederich Insurance. Diederich Advisors work with you to better understand your business and your risk before recommending the best protection for you. Call 800.457.7790 or email us at contractors@diederichgroup.com to request a contractors insurance quote today. We pride ourselves on our ability to build lasting relationships with our contractors.